James Connolly was born in Edinburgh on 5 June 1868 and died at the hands of a firing squad on 12 May 1916, 100 years ago. It’s important to remember him as part of our own history but also as a warning to those who advocate that we shelve any political ideals until after independence. – James Connolly, executed by the British state: Edinburgh & Scots radical, socialist, republican. 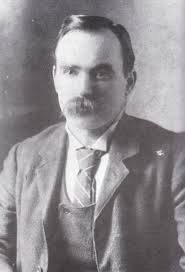 Read Jim Kelman on James Connoly here, from Scotland and the Easter Rising. And he’s still right today! That’s why it’s so important we take decisions now on issues like our currency, land ownership – why should we allow our land to be sold to the highest bidder? surely some form of compulsary purchase can be devised? We too need to play the patriot’s game. My good friend, the late Robert Curran, SNP National Secretary in the 1950s, used to express the opinion (to those close to him) that the party (and Scots in general) might well acknowledge their belief in the need to maintain a “nice” identity to nurture the idea that the “best” Scottish independence would some day be granted to us by “reasonable” English people. But his secret support of our raid on the Army Cadet’s hall in Johnstone – at a time when the Queen was being inaugurated – reflected contradictory sentiment (an attitude which apparently remains). He insisted that the guns we took should be destroyed, rather than held to empower subsequent initiatives. When he subsequently returned to Scotland from exile in the US it was evident he’d accepted the inevitability that this “niceness” would bind us all – even as independence was being celebrated in the most unlikely spots around the world: we should quietly watch our nation sink into a nice, romantic dependency upon the English. I doubt if he’d have believed then I’d have to remain in exile for so many years (ignored even by SNP activists), or have entertained the idea that I might subsequently have the title RETIRED TERRORIST. It just isn’t “nice” enough. The Gordon Macshean?? If so, greetings and praise.